For the last four years, we’ve been designing novel learning activities for elementary school scenarios across Europe. The final evaluation of over 2500 school pilots is complete, and the results are outstanding! Activities designed by our team have increased student motivation, student engagement, teachers’ ICT use, teachers’ use of novel pedagogical approaches, and pretty much everything one needs for 21st century skills. Highlights of the evaluation results are available as a nice, visual PDF and print publication in a dozen languages. The whole team has been involved in the work, but the main people responsible were Tarmo Toikkanen and Anna Keune. 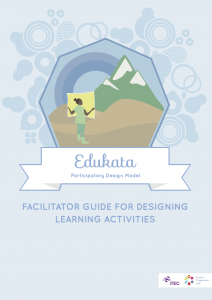 Edukata is a set of guidelines for facilitating participatory design sessions. Much of the success of our research group in the last decade is due to an excellent design process, which professor Teemu Leinonen published as his dissertation. We’ve now created a simplified version of our participatory design process, named it Edukata, and published it in various languages. 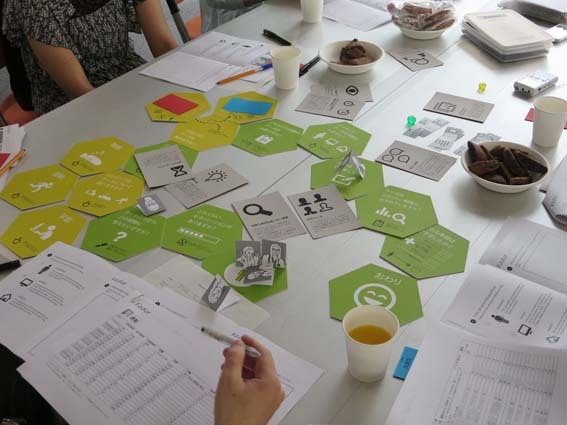 Edukata is a set of guidelines for facilitating a productive participatory design workshop in the context of educational change management, but can easily be applied to other fields of work as well. We’ve set up training workshops for Edukata facilitators, and an online certification system based on Mozilla Open Badges. Our second year of Learning Layers project was challenged by finding the way in changing directions of consortium partner, the project manage to achieve its outcomes for second year, namely to move from individual level of informal learning at workplace research to informal learning of networks, organizations and clusters. Within the aim of scaling Learning Layers tools and ideas it meant a welcomed increase of try outs of the prototypes in workplace learning situations. 63 networks and managed clusters, 83 SMEs (23 in healthcare and 60 in construction sector) and 160 users (55 in healthcare and 105 in construction sector) tried the tools. The project is in the course of integrating the prototypes and tools created during these two years. The Layers tools for informal learning are: Bits & Pieces, Help seeking, Living documents, Learning Toolbox, Baubildung.net, Ach so! and Social AR (more on this later in this post). 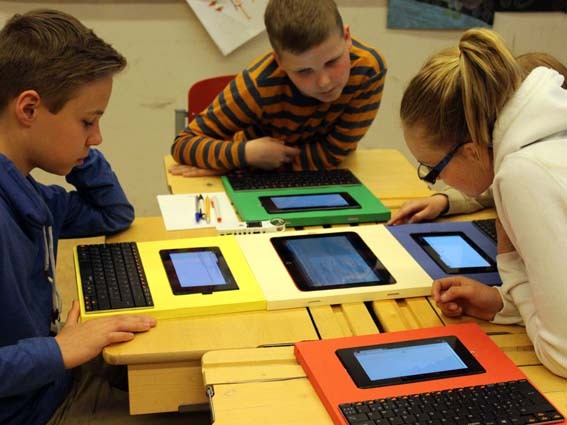 Aalto’s success in the year 2 and towards year 3 of Learning Layers project has been the acquiring of local testbeds. We will be involved in the experiment on combining training from vocational school to construction site in Tampere area with Finnish Construction Trade Union, Skanska, Confederation of Finnish Construction Industries RT and Valkeakoski Vocational College. The idea being, of having the last year of construction studies not in the vocational school but in the construction site. The model is called “2+1”. Ach so! and potentially also Social AR (working name of the Augmented reality Prototype) will be used in a longitudinal 2 year study on informal learning. At the end of November we had an open gathering to share the final results of LEAD, a 2 year project. Tools and prototypes developed in LEAD were displayed and we started some good discussions about how powerful and inspiring can be combining learning and design. Data and ICT have been key elements for the adoption of design thinking and we are happy to present tools that showcase how this can happen at three different levels: 1) Educational policy-making (Opeka and Speld – Social practices for Empowering Learning Designer); 2) Teaching and facilitation (Presemo) and 3) Learning (Square 1 and Feeler). 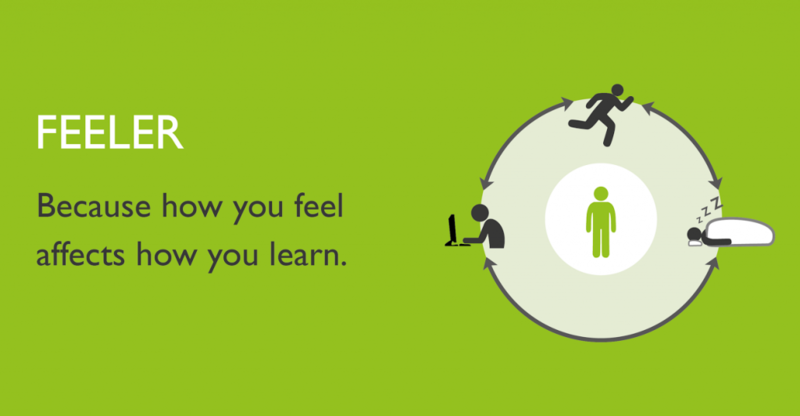 Feeler is a concept design focused on self-monitoring for wellbeing in study performance. During the last year, several participatory and co-design workshops have been conducted with students of Aalto University (Finland) and from Kyushu University (Japan). In these workshops, we have been able to test the use of design games as a tool for contextual inquiry and share our conclusions at the Design & Emotion conference held in Bogotá (Colombia). The feedback received has been extremely useful and we are already working on some visual concepts for the prototype. We are also exploring the use of different data regarding brain activity and emotions. Still much to do, but we are satisfied and inspired with the so far achieved results. For more information, please contact Eva Durall. Interactive brochures, explaining how the CC license suite’s various licenses work. Image: Tarmo Toikkanen, CC BY. In the field of open data, our team has been in a key position. The Finnish government’s open data policy has started to take effect, with datasets being published using Finnish open licenses. 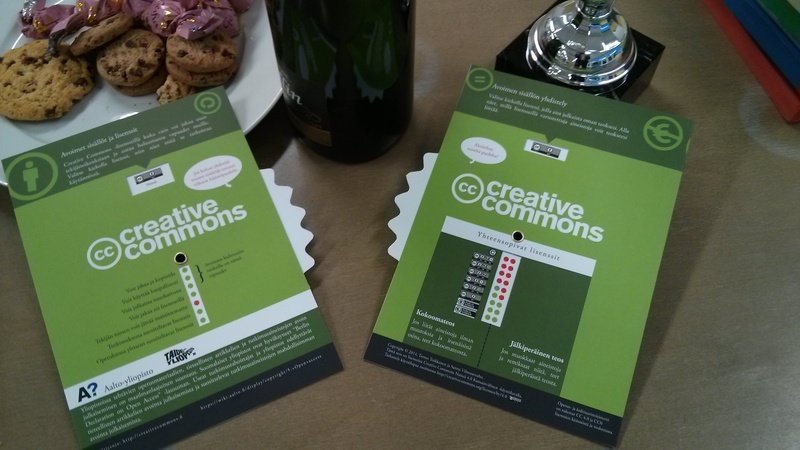 Meanwhile, the Creative Commons people with affiliates all over the world finalized the 4.0 versions of their licenses, which are also suitable for dataset licensing. The Finnish CC affiliate is Aalto University, with Tarmo Toikkanen from our group being the general coordinator of activities. He participated in the Finnish governmental standards work (JHS) to produce a recommendation for open governmental data licenses. This recommendation was completed and approved on the 11th of December, making CC BY 4.0 the recommended open data license in Finland. Prior to getting the recommendation approved, the Finnish government insisted that an official translation of the licenses be made. The CC team in Aalto spent over a year with legal experts in drafting the license text, and that translation was finalized and approved on the 12th November 2014, becoming the very first translation of the 4.0 license suite in the world. As part of our dissemination efforts, we crafted an interactive printed brochure that visually explains how the CC licenses work. These brochures are available for self-printing in Finnish and English, and they can be translated to other languages. We’ve already handed out nearly 2000 physical copies in Finnish, and will still print a hefty set in English to distribute globally. This entry was posted in Design, LEAD, Learning Layers, Research and tagged edukata, feeler, itec, layers, lead, opeka, socialar, summary by Tarmo Toikkanen. Bookmark the permalink.